Saw a new doctor today and things went well; I like the fella. So here is what I'm beginning with in terms of labs, 11 of them to be exact. Next stop is a cardiologist. I'll keep this updated with lab results while being OFF and as I'm cycling(ON) which will be relatively soon. I have 11 types of different tests being done. Full panel, GH, igf, and many other ones that are not as common for the typical AS user, but it is important for my health and also fertility wise. 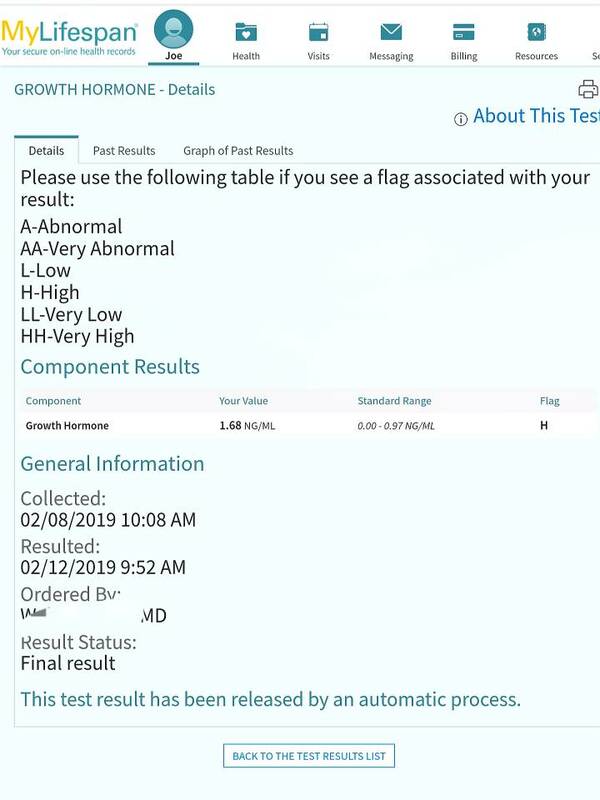 Got my labs, will post last ones from May of 2018 when I came off completely until now. 9 months of being COMPLETELY OFF. What I'm really impressed and happy about is my ast and alt numbers and how low they've gotten, wow. Those numbers I had last year, i was on superdrol and not to mention that I was on orals for over a year; all of my labs from last year(9 of them)my ast and alt numbers were in the 60s at a minimum. My test levels are good for my age and again, I've been clean for 10 months now. I do feel fully recovered and overall mood is positive. My HDL and LDL values are always in that range or 190s for total. It is something I've dealt with for years and it runs in my family. My HDL is relatively good. I will begin my cycle this weekend. looks good but i really think you should avoid orals going forward. the risk to reward ratio just isn't good health wise. Disgaree in regards of orals, especially Anavar. I've experimented enough to know my body and labs. Excited to get the testing done on my heart and getting some other stuff done as well. i don't know how you can disagree with orals being unhealthy. they just aren't. especially with age, the risk only grows. i agree that some are worse then others the benefit they give vs the risk is not worth it IMO.